IITPSA's IT Personality of the Year Award - now in its 36th year - is presented in association with ITWeb, Gartner Africa and Gordon Institute of Business Science. It recognises an individual who has made an exceptional contribution to the South African IT industry. 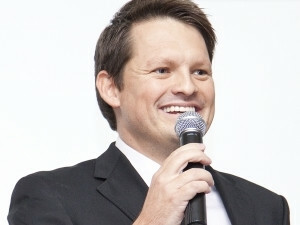 The judges said Visser's entrepreneurial spirit, energy and enthusiasm sustained the team that built Afrihost - from a three-man operation into a high profile broadband service provider. They were also impressed by Visser's ability to bring disruptive change to the market - he has been instrumental in driving more affordable broadband services. The judges said the common thread among the finalists was "passion, perseverance and belief that technology can change lives, mindsets, business models, industries and the country itself - they each fight in their own way for IT's rightful place on the national development agenda". Her ability to influence executives as to the value technology can bring to their business and clients, turning around IT from a support organisation to a business partner, also impressed the judges. She is "willing to 'break down' what does not work before starting to rebuild. 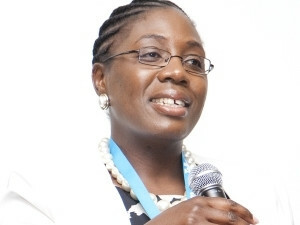 The ICT environment in her charge is a crucial enabler to the FSB's vision to promote and maintain a sound financial investment environment in South Africa," the judges' citation said. Other top finalists were Woolworths CIO Danny Naidoo; group CIO of Tiger Brands, Darryl Thwaits; Lion of Africa CIO Robert Boccia; and Aon South Africa CIO Sandra Hutchison. The judges highlighted the fact the five finalists "all share a belief in the power of the CIO to drive strategic changes - not only to support business growth, but also to innovate and transform business". 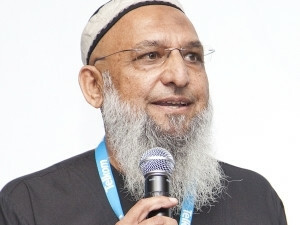 The judges decided IT Personality finalist Ahmed 'Smiley' Ismael deserved special recognition for his service to the community.